My Dad was manager of the shop in the picture, Milwards Shoes at 15 Station Road Portslade from 1960 until about 1973. We lived in the flat above until the shop was modernized around 1963-4. When we moved in there in 1960 the old Portslade council office building was still standing next door but was soon demolished and a new building erected to house Fine Fare and a TV rental company. Behind the old council building there was an orchard. Just next door was that great hardware store Retallicks. There was always a funny but nice smell to that shop. 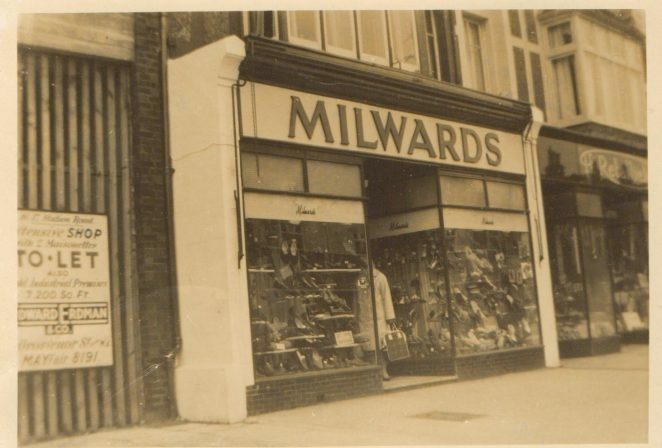 Further up towards the station there was another shoe shop, Freeman Hardy & Willis. One thing I remember about Milwards was the “Pedoscope” – an x-ray device, housed in a wooden case. It was used to visually inspect the position of feet and toes inside shoes. I believe these machines were banned in the late ’50s or early ’60s. Yes, Yes! I remember the x-ray machine too. 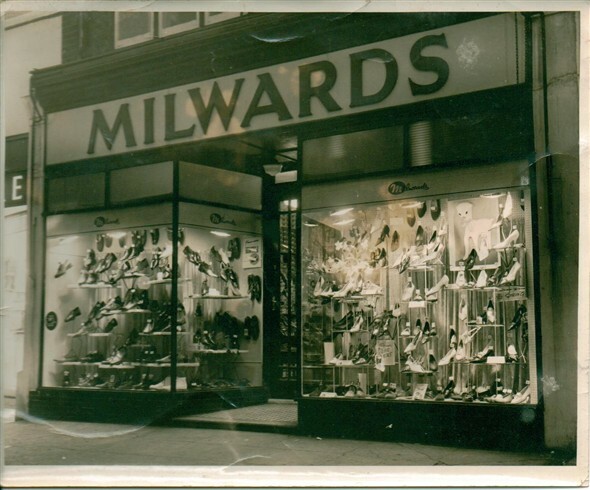 As a child, it made going to Milwards for a new pair of shoes, even more exciting. I wonder why they were banned?